It was only the Hang Seng that saw a positive close today (+0.6%) as most digest the Trump email release and await central bank comments. As part of the safety return the JPY gained almost 1% and was last seen playing around the 113 figure. The Nikkei close lower (-0.5%) as we watched a broad based sell-off. Japans corporate goods data fell inline with market expectations but is second tier information ahead of Janet Yellen’s address. The ASX lost almost 1% as commodity price decline and the turn in confidence begin to take their toll on product based economies. Unfortunately, yesterdays energy inventory stockpile data had only a small effect on Asian markets which further hit confidence. Late US trading is seeing an encouraging futures rally as US markets hit intraday records. We saw quiet summer month trading for the European morning session then a refreshing afternoon rally as the prepared Yellen remarks were digested. Upon hearing that US rates would Not have to rise that much”, certainly helped both sentiment and buyers confidence for European markets. Although the Euro fell the positive response saw major indices close over 1% firmer. The Euro lost a little ground after yesterdays rally but the UK’s GBP did see a refreshing bounce from recent negativity. RBS was a hot topic after it announced it had settled two accounts with US authorities but shares closed 2% lower on the news. The prepared remarks that released at 8:30 (EST) showed a significant positive effect for US indices, treasuries, bonds and commodities. Janet Yellen signalled rates to rise but only gradual and that the balance sheet reduction would start soon. 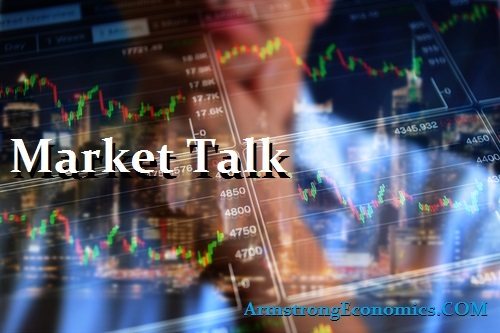 The treasury market rallied having heard the pace may be slower than previously expected and even saw some curve flattening as money moves back into the long end. The DOW closed at record level today, after closing up 123 points. There was talk around today that Janet Yellen just wants to normalise rates as much as possible ahead of next February 2018 as the speculation continues that she h]may not be appointed the next term. 2’s closed 1.34% (-5bp), 10’s 2.31% (-7bp), 30’s 2.87% (-6bp), Bunds 0.57% (+3bp) closes the US/Germany 10yr spread 10bp tighter at +174bp. France 0.86% (-4bp), Italy 2.24% (-2bp), Greece 5.23% (-5bp), Turkey 10.44% (-7bp), Portugal 3.05% (-2bp) and UK Gilts 1.26% (-1bp).